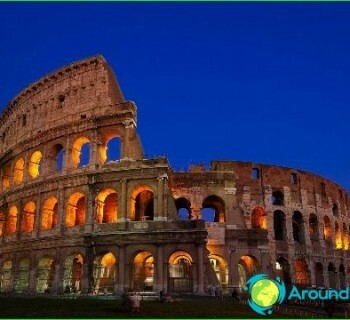 The Italian capital is made up of 22 central districts. 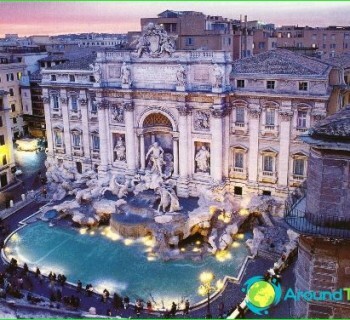 Since areas of Rome have their own characteristics, visiting the capital will certainly be an exciting adventure for her guests. Rome's Trevi are, Column, Monti,Parione, Ponte, Campo Marzio, Sant Eustaquio, Regola (district known Square of flowers), Kampiteli (stands Senate Palace), Pigna, Ripa Sant'Angelo (region of interest area Matei fountain Turtles), Borgo, Trastevere, Ludovisi, Esquilino, Castro Pretorio, sallustiano, Testaccio, Celio, Prati (famous Castel Sant'Angelo), San Saba. Monti: it is the most visited tourist area - noteworthy Baths of Trajan and Titus, August Temple, the Lateran Basilica, and Church of Santa Maria Maggiore. Trevi: area suitable for walks in the Trevi area (located in the center of the eponymous fountain) and Piazza Barberini (this area is famous Triton fountain, and here is worth visiting Palazzo Barberini, known for his National Gallery of Ancient Art). Campo Marzio: interest to travelers are the street Via dei Condotti and Via Margutta, the Spanish Steps, the ancient cafes Caffe Greco (say, that once liked to stay here Gogol), the church of Santa Maria del Popolo. Parione: area is famous Piazza Navona and Campo de Fiore (in the afternoon - the place of the market trade in the evening - meeting in restaurants, where the order local dishes), on which the statue of Giordano Bruno, the palace Pamphili, on the frescoes which worked well-known artists, the church of St. Agnes . Trastevere: then it is recommended to visit the botanical garden, as well as in the churches of Santa Maria in Trastevere and Santa Cecilia in Trastevere. It is worth noting that the special atmosphere of the area takes on during the holidays, which are accompanied by parades, dances, songs and competitions. San Saba area has a complex of the Baths of Caracalla, Basilica of San Saba, Hippodrome Circus Massimo. Celio: here flock to those who want to see the Arch of Constantine, the Colosseum, the Church of San Giovanni e Paolo and Santa Maria in Domnica, St. Sebastian Gate. Despite the fact that Trastevere district has not a very cheap hotel, yet tourists should pay attention to it - this is where they will be able to experience the true Italian spirit. No less attractive place for accommodation on holiday in Rome is the area Celio, but well, if the selected hotel will be located in the depth of the quarter, and not on the street with active movement. For those interested in club subculture it makes senseto find a suitable accommodation in the Testaccio district. But most low-cost housing can be found in the Termini area - plus there are many hotels close to the sights, the only negative - crowded because of the proximity of the train station. Entertainment in Rome - photo. Amusement parks in Rome. The capital of South Sudan: map, photo. What is the capital of South Sudan?